Have Israel's Religious Authorities 'Blacklisted' 160 Rabbis? : The Two-Way Who is a Jew? The latest chapter of this debate reflects the growing schism between Israel's Orthodox religious establishment and rabbis around the world. Israel's rabbinical authorities have compiled a list of overseas rabbis whose authority they refuse to recognize when it comes to certifying the Jewishness of someone who wants to get married in Israel. Israel's state rabbinate has released a list of 160 rabbis — from the U.S. and 23 other countries — whose certifications of a person's Jewish identity it rejected last year. Jewish immigrants in Israel often must present such certifications from their rabbis abroad to prove their Jewish identity. Rabbis from liberal Jewish movements, which Israel's Orthodox religious establishment sees as too religiously lenient, unsurprisingly appear on the list. But so do prominent Orthodox rabbis, including a rabbi from Ivanka Trump and Jared Kushner's synagogue in New York, and a rabbi with close relations to Canadian Prime Minister Justin Trudeau. A spokesman for the Chief Rabbinate of Israel, Kobi Alter, said the list of rejections reflected case-by-case technicalities like missing documents, not a judgment call on rabbis. "Every case has a different explanation," he said. But a Jewish advocacy group fighting the rabbinate in court over the matter is calling it a "blacklist." The group, Itim, says it reflects a lack of oversight and transparency in the evaluation process, as well as the conservative rabbinate's suspicion of Jewish communities abroad, and its attempt to assert itself as the world's prime Jewish gatekeeper. "It's telling 160 Jewish communities around the world, for us, the State of Israel, your rabbi is not a rabbi," said Rabbi Seth Farber of Itim, the advocacy group. "The baseline assumption is that no one can be trusted." One revelation from the group's legal battle for transparency in the decision-making process for accepting foreign rabbis' testimony: the rabbinate said there is only one clerk in charge of making decisions. Israeli Chief Rabbi David Lau said Sunday he was "shocked" to learn such a list had been compiled and publicized, and ordered the clerk in charge of the matter be disciplined. A special rabbinic committee is currently formulating criteria for which foreign rabbis would be accepted in Israel for purposes of confirming Jewish identity. "It cannot be that a Chief Rabbinate clerk decides on his own to publish which (rabbis) are approved and which are not," Rabbi Lau wrote in a letter to the Chief Rabbinate's director general. "Secondly, there is no need to elaborate on the grave repercussions and deep hurt this causes certain rabbis, especially Israel's Chief Rabbinate." Rabbis whose testimonies were rejected can still practice in their respective countries; they operate independently of Israel's rabbinate. But the Israeli state rabbinate has frequently questioned foreign rabbis' judgment in religious matters. Last year, Israel's religious authorities issued a ruling that raised doubts about the credentials of the New York rabbi who oversaw Ivanka Trump's Jewish conversion. 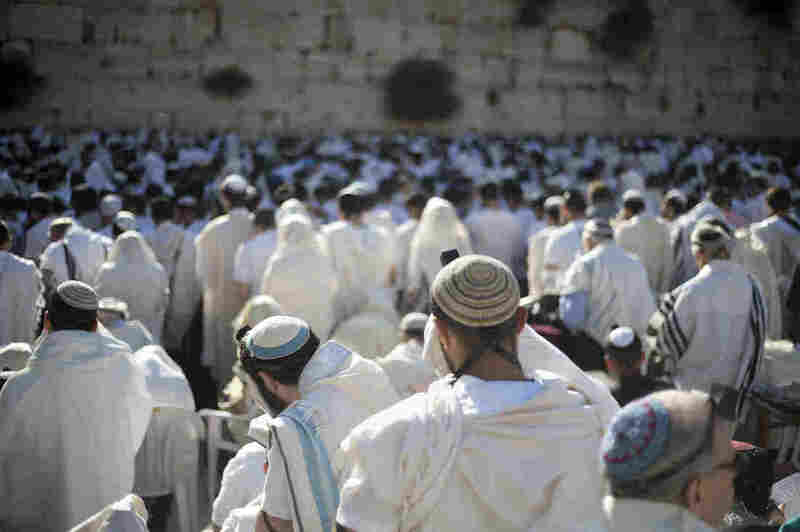 State religious authorities in Israel have sole jurisdiction over marriage, and require Jewish immigrants applying for a marriage license to provide a certificate from their rabbis abroad proving they are Jewish. But Israel's Chief Rabbinate has rejected thousands of these certificates in recent years. Itim, which represents Jewish immigrants in Israel, has taken the rabbinate to court to reveal which rabbis' certificates are being rejected — and why. The rabbinate has not published its criteria for rejections, but in late April gave Itim its list of rejections from 2016. Itim revealed the list Sunday. On the list are 66 rabbis from the U.S., including Rabbi Baruch Goodman, a member of the ultra-Orthodox Chabad movement and campus rabbi at Rutgers University; Rabbi Joshua Blass of Yeshiva University, an Orthodox-affiliated university in New York; and Rabbi Daniel Kraus of Congregation Kehilath Jeshurun, where Ivanka Trump and Jared Kushner were affiliated when living in New York. Others on the list include 27 rabbis from Argentina, four rabbis from the U.K., and rabbis from Europe, South America, South Africa, Greece, India, Mexico and elsewhere. Rabbi Adam Scheier, an Orthodox rabbi in Montreal who accompanied Canadian Prime Minister Justin Trudeau to the Auschwitz concentration camp memorial in Poland, said he does not know why his name appears on the Israeli Chief Rabbinate's rejects list. He said he does not consider it a "high-level" decision to reject his standing as a Jewish leader, but rather the evaluation of one government clerk without transparency. "As an Orthodox rabbi, I believe that the existence of this list is an affront to the hard work and devotion of so many of my colleagues — of all denominations," Scheier told NPR. "To delegitimize rabbis — and, accordingly, their communities — without due-diligence or process is simply an abomination."